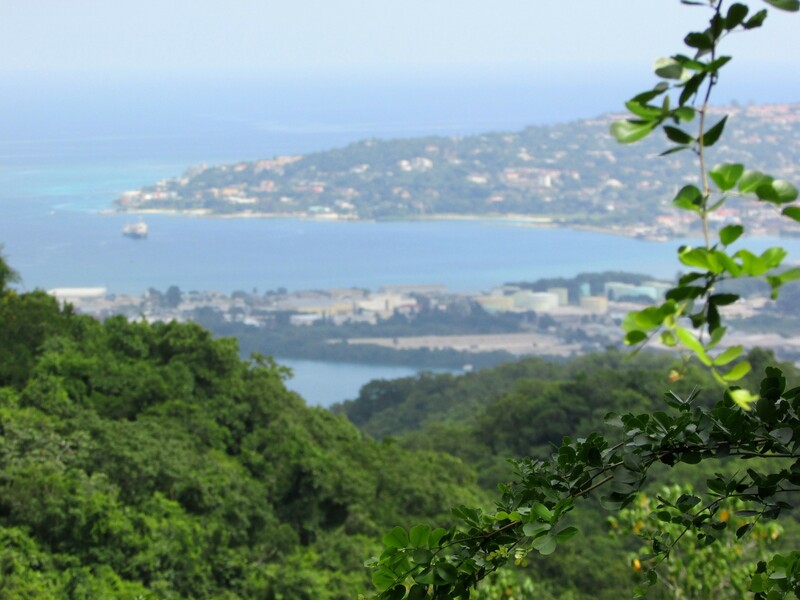 In the mountains of Jamaica, near the town of Anchovy, a thirty-minute drive from Montego Bay, my husband and I entered a world unlike anything we’ve ever experienced before. 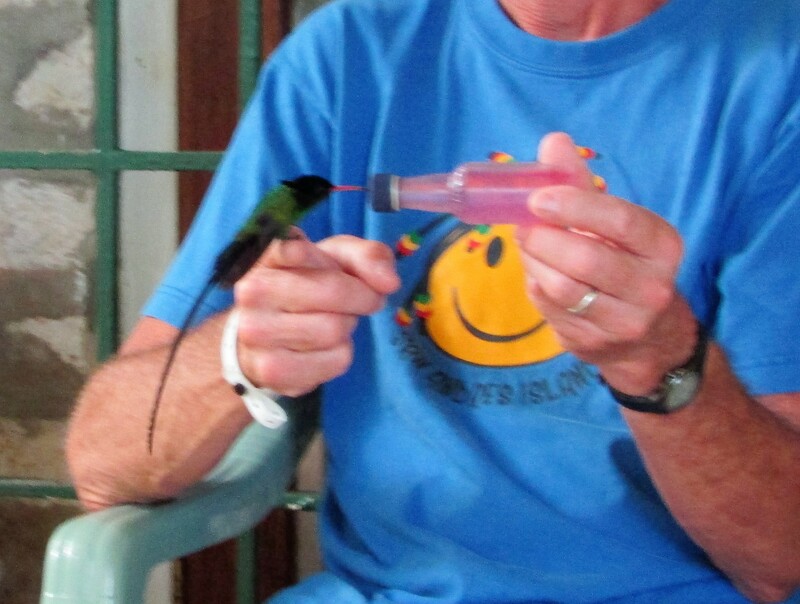 I posted a picture of a hummingbird on my finger a few weeks ago, and this is the accompanying story of that moment in Anchovy, Jamaica, at the Rocklands Bird Sanctuary. 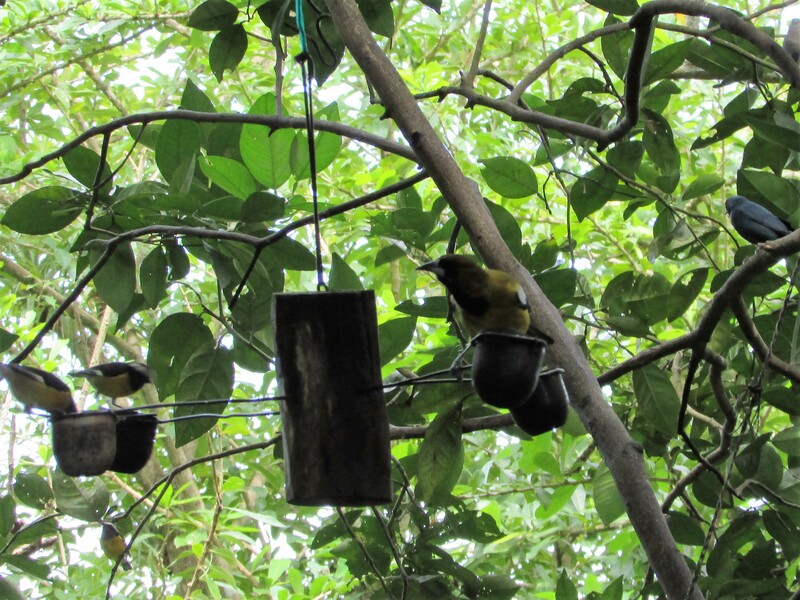 Before we even encountered the birds, we were amazed by the surroundings. Sitting on the beautiful terrace, bordered by hand-crafted concrete planters, the abundance of lush green beauty began soul-soothing us immediately. For me, this was a slice of heaven on earth. I love plants, nature, and birds and Rocklands Bird Sanctuary perfectly combines all three. 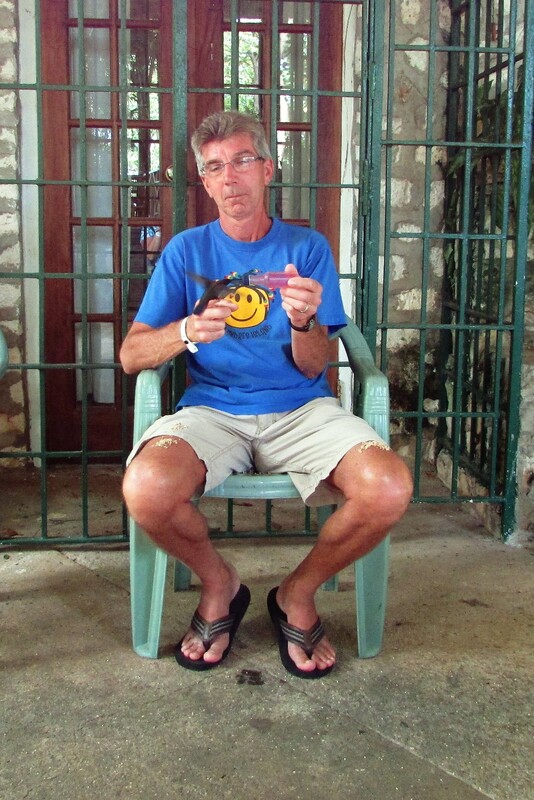 The key to the experience is “patience,” our guide Fred told us, and we found it to be the case. 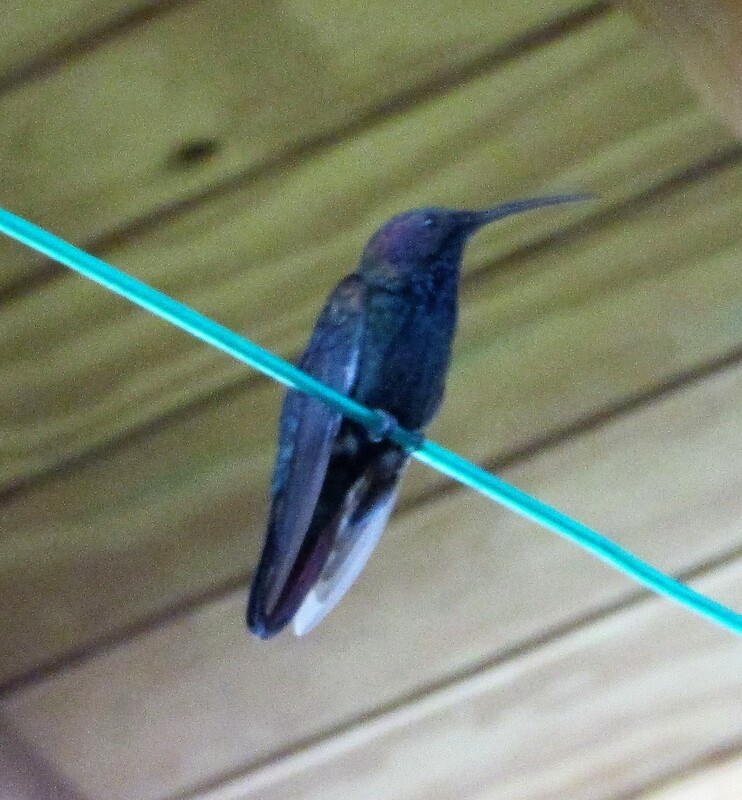 The hummingbirds eyed us up a bit from their perches near the roof of the terrace, deciding if we were worthy of their attention. 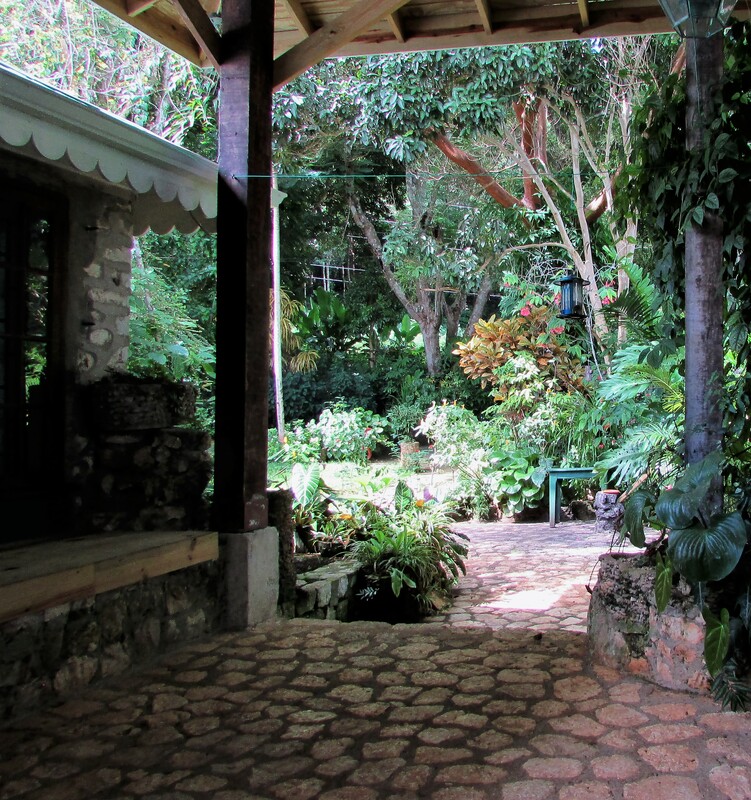 Postscript: Don’t miss out on the trails that surround this beautiful sanctuary if you are able to take a tour.